This is the first and possibly most important step we take: our team will visit your home to inspect the rug and analyze the degree of damage. 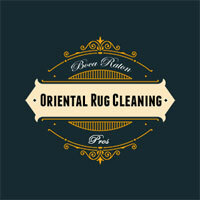 We never act hastily and instead prefer to conduct a thorough analysis of your rug. All further actions are based on this critical step. Once we have fully inspected the type and scale of discoloration, we set up the tools needed for the upcoming repair work. Again, this step is done with careful planning to help us round up the most suitable cleaning solutions, tools and equipment to repair your rug. Making the Choice—Dyeing or Chemical Treatment? Dyeing. As you might imagine, this involves the use of a dye to restore your rug’s original color. The procedure begins by selecting a dye that perfectly matches your rug’s color. For rugs with multiple colors, different dyes will have to be used. 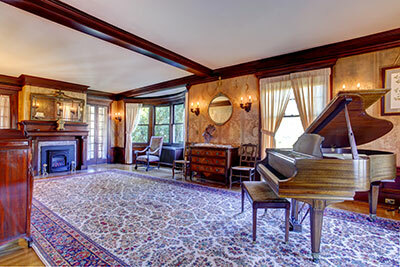 We have a full range of dyes to choose from, so no matter the colors of your rug, rest assured that we will be able to restore it to its former glory.Dyeing a rug flawlessly is no easy task, but our professionals have a great deal of experience in this field and will do the job without errors. The equipment used for dyeing depends on the extent of color loss and the intricacy of your rug’s design. If the color has faded from a small area (owing to chemical damage), we use syringes to correct it. In case of large patches of faded color, we use a sprayer to spread the dye quickly yet effectively. If your rug sports complex color combinations, it will require the use of advanced tools like air brushes to apply the dye. Chemical treatment. 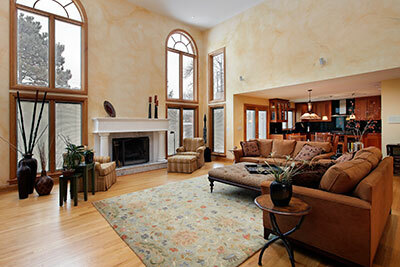 Alternatively, we can make use of special chemicals to restore the color of your rug. Such chemicals are applied in a way similar to the dye application process: while the chemicals are partially made from dyes, they also include other substances that serve to make your rug look as good as new. However, this technique is limited to minor color damage, which means it can't be used in cases of heavily discolored carpets. The final step is to get down to business and restore your rug’s color using the selected correction method. This is done only when we know the full extent of the damage and have chosen a suitable correction process. We feel that knowledge is key: the more knowledge and understanding we gain about your rug, the more thorough we can be in our execution.